Exhibits – Jessica M. Parr, Ph.D. I currently manage Digital NH, a Curatescape exhibit that is a project of the University of New Hampshire’s Public History minor. I built the Curatescape site using open source files from Github in the summer of 2016. It is hosted by Reclaim Hosting. The individual exhibits are primarily by undergraduate students who are enrolled in Digital or Public History courses. Francis Palmer Speare was Northeastern University’s first president. 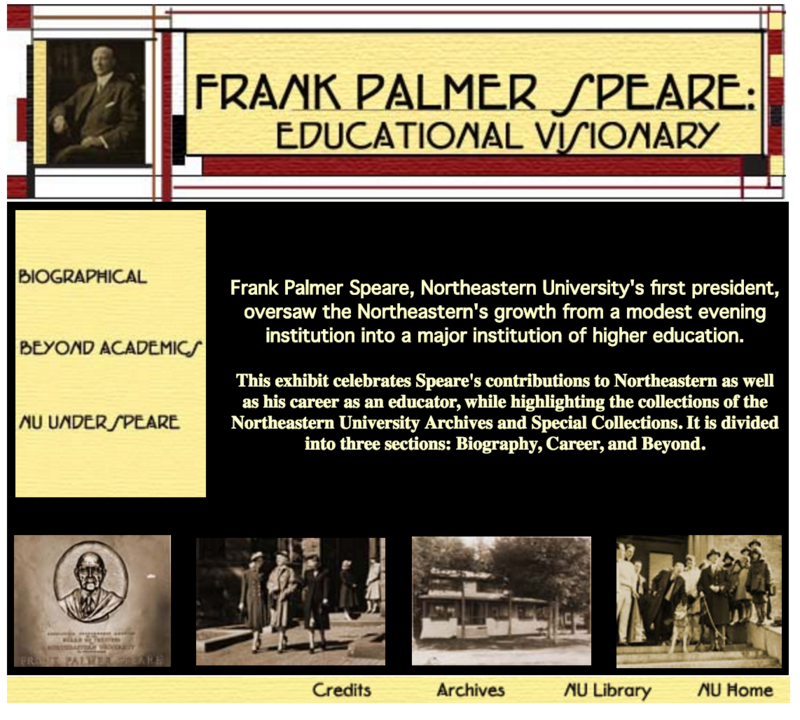 I built Frank Palmer Speare: Educational Visionary in the spring of 2004, when I was employed as an archives assistant for the Northeastern University Archives and Special Collections Department. The web exhibit was based on a previous archives exhibit by another staffer. My involvement included the production of the website, digitization of documents involved, and also some additional research in archival and manuscript collections to flesh out the exhibit. 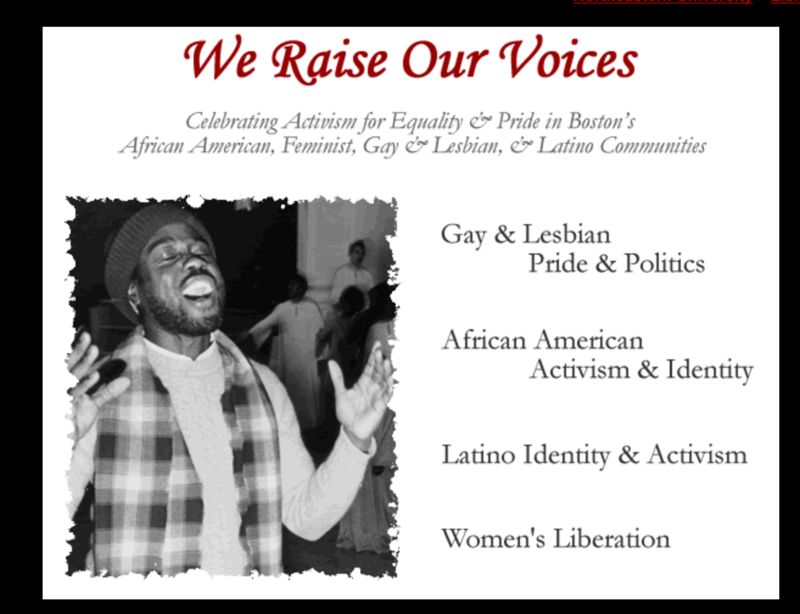 We Raise Our Voices was a collaborative archival and web exhibit created by staff of the Northeastern University Archives and Special Collections Department in 2003. The exhibit highlights Northeastern University’s social justice collections, documenting Boston-area African-American, Women, and LBTGQ organizations. My primary responsibilities involved research, writing, and creating the segment of the exhibit dedicated to women’s rights initiatives.